You don’t have to wait until Glastonbury to experience live music in a spectacular natural setting. Springtime in the mountains brings musicians, artists and athletes from across the globe to combine two of the world’s greatest pleasures – skiing with partying. In fact, we think there is nothing quite like a festival on the slopes. That’s why we’ve pooled together at Inghams HQ and used our expert knowledge to compile this handy Insider’s Guide to the unmissable festivals gracing the mountains this spring. Welcoming some of the hottest DJs and alternative music producers from around the world, Snowboxx is one of the most popular music festivals in the Alps. Located in the otherwise peaceful, traffic-free village of Avoriaz in the heart of the French/Swiss Portes du Soleil region, this festival has a reputation for loud and lively clubbing and midnight raves. With entertainment such as organised, competitive snowball fights and ‘human bowling’ there is endless, original entertainment available to all. This exciting festival continues to get bigger and better every single year! Taking place almost simultaneously to Snowboxx is the Portes du Soleil’s Rock the Pistes festival. With more of a rock-n-roll vibe than its EDM cousin, Rock the Pistes is free to all visitors to the Portes du Soleil region with a valid lift pass. 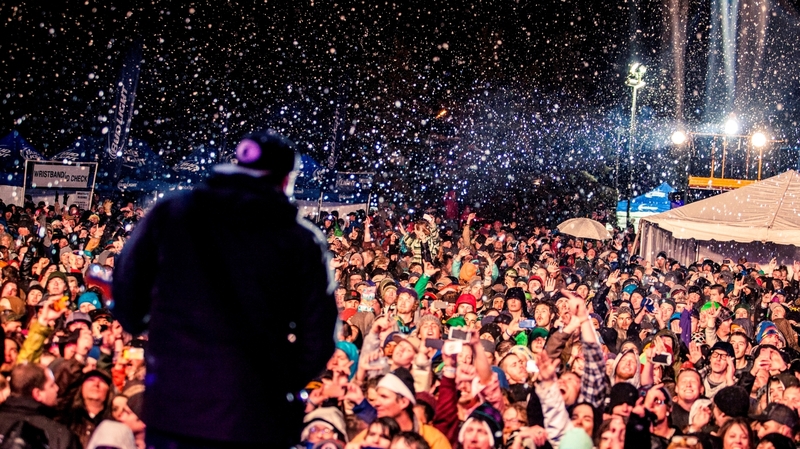 Stages are set-up across the mountain and the wealth of live music truly compliments the hedonistic vibe of Snowboxx. Enjoy the Snowboxx festival from the comfort of our very own Chalet Fleurie in Avoriaz. Your Inghams chalet host will take care of all of the cooking, even providing delicious afternoon tea and cake so you can refuel before hitting the festival in the evening. The ski-in-ski-out Chalet Fleurie has an ideal location, just 2 minutes’ walk from the resort centre. There is even a sauna - perfect for relaxing after a long day on the slopes. Andorra has long been a number one party destination and the Horizon ski festival in Arinsal is the crowning glory of a lively events-calendar in this après friendly country. Horizon has a cool vibe, welcoming underground electronic artists from across Europe and the world, with DJs performing everything from techno to dubstep. An eclectic variety of venues gives this festival a distinctive character, including DJs performing sets in hostel dormitories and secret forest raves. There’s even an acoustic area with hot-tubs – an ideal place to chill during this intense ski festival. Arinsal's renowned atmosphere and great nightlife truly enhances the festival buzz and the skiing and snowboarding is incredible too, with many kilometres of runs perfect for beginners and intermediates a like. The dedicated skier and partier will never tire of the Horizon festival. The Hotel Xalet Verdu is situated a mere three minutes’ walk from the main gondola – perfect for accessing the slopes. And the very friendly owners and superbly attentive staff will make you feel incredibly welcome during your stay. The attractive bar and comfortable lounge are ideal for relaxing after a hard days skiing and partying. The Brits is the highlight of the British freestyle snow sports calendar. This exciting, freestyle snowboarding and skiing competition has riders compete to be the best at halfpipe, slopestyle and ski/boarder cross, attracting big name athletes from across the British snow sports scene. Since its conception in the late eighties, live music has always been an important element of the Brits. Past performers have included Chase and Status and DJ Yoda. The sheltered snow-bowl resort of Arosa has some of the best skiing in Switzerland, and at just over an hour’s drive from Laax, you can easily take in the excellent freestyle spectacle on a day-trip before heading back to the incredible comfort of the 4 star Sunstar Alpine Hotel. 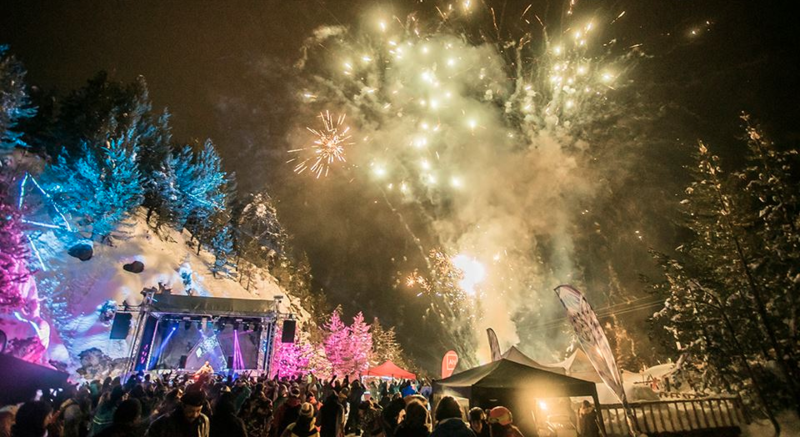 Year after year, Snowbombing manages to bag one the most killer line-ups in the mountains. Gracing the slopes of Mayrhofen in Austria, this festival which began life back in 2000 hosts some of the best, chart-topping musicians and acts. Previous headliners to have performed there include Biffy Clyro, Calvin Harris, Dizzee Rascal, and Fatboy Slim. This year is set to feature the likes of Chase & Status - so guests are in for a real treat! Venues are spread across several locations in resort. You could find yourself dancing in the appropriately named Racket Club – a nightclub converted from underground tennis courts. Or maybe you’d prefer to show-off your moves in the futuristic Arctic Disco igloo! The festival lasts for a week, with skiing and snowboarding across the resort during the day and almost every genre of live music being performed across a variety of venues at night. It’s a fun, lively festival with a little something for everyone. Enjoy the festival from the comfortable Sporthotel Strass & Hotel Strass. This hotel has a fantastic, central location right next to the Penken Gondola and the festival. The extensive skiing area and the festivities are very literally on your doorstep so it is super convenient if you want to stay out late into the evening and not worry about a long walk home. The Whistler World Ski and Snowboard Festival is a fantastic showcase for snow sports and the arts. With everything ranging from live music to film screenings, from comedy to photography, WSSF is one of the most eclectic mountain festivals out there. Whistler’s impressive reputation as one of the best places in the world to ski and board doesn’t need to be repeated and the exciting WSSF only makes the atmosphere in resort even more dynamic! Highlights of the festival include the hilarious, Whistler Comedy Showdown and the fast-paced Roller Derby. The central Crystal Lodge & Suites is located in the very heart of Whistler Village just 2 minutes’ walk from the lifts, and close to the shops, bars and restaurants of the resort. Typical of Canadian hospitality, the Crystal Lodge has an incredibly friendly atmosphere and makes for a welcome retreat from the challenging slopes and the hustle and bustle of the festival. As the ski season comes to an end in the Colorado Rockies thoughts of skiing and exploring the mountain turns instead to après, live music and partying. The Spring Back to Vail festival celebrates the sunnier weather and goggle-tan skiing of the end of season with a weekend of live music and entertaining events. The definite highlight of this festival is the infamous World Pond Skimming Championships where costumed participants endeavour to ski or board down the mountain and cross a 75-foot pool of water. Failure to get across results in a very large splash – much to the delight of the loud and excitable audience. Vail is only an hour’s drive from Breckenridge (which is nothing in American terms). Breckenridge has some of the best skiing in the whole of North America, and its picturesque, old world Main Street will inspire thoughts of the Wild West. It is a truly unique resort and the accommodation is hard to beat. The Pine Ridge Condos are only a few minutes from Main Street and 4 minutes from the chairlift – providing ready access to the slopes. If you love skiing, the arts, live music and partying then there is no better way to spend a holiday than on a ski and snowboarding festival. It’s time to start putting aside the pennies for your lift passes, ski and snowboard rentals… and of course, tickets for some of the best ski festivals the mountains have to offer!